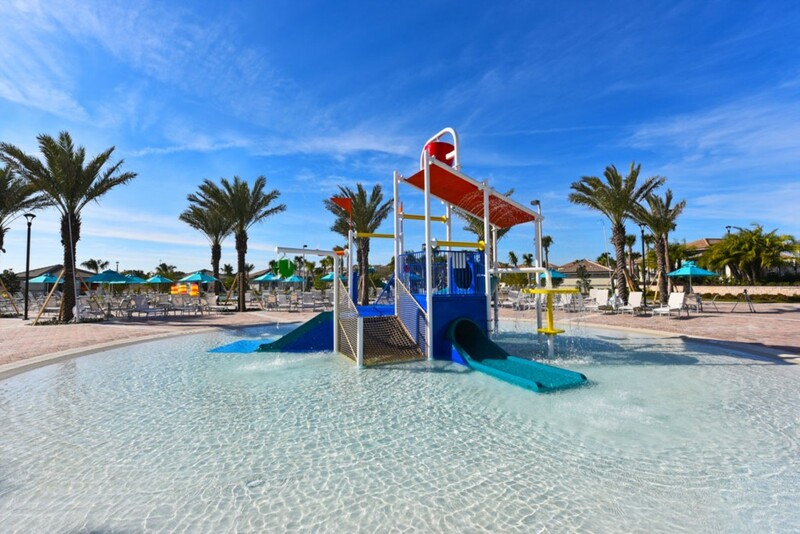 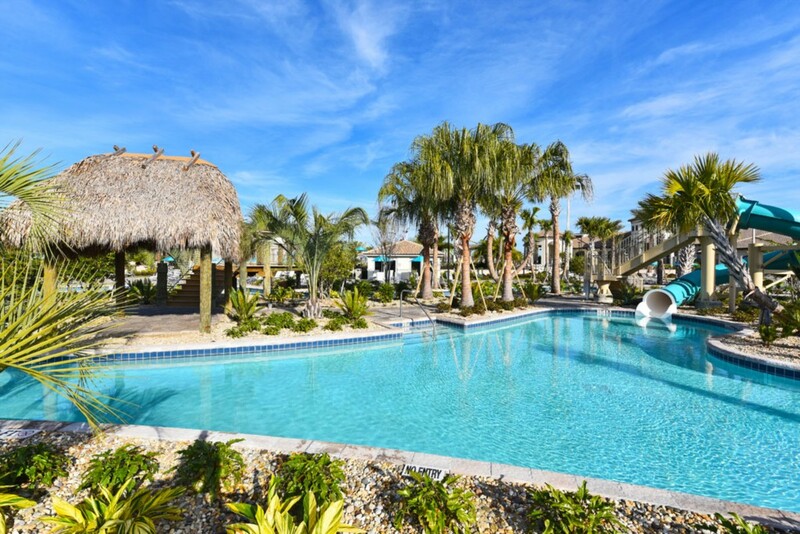 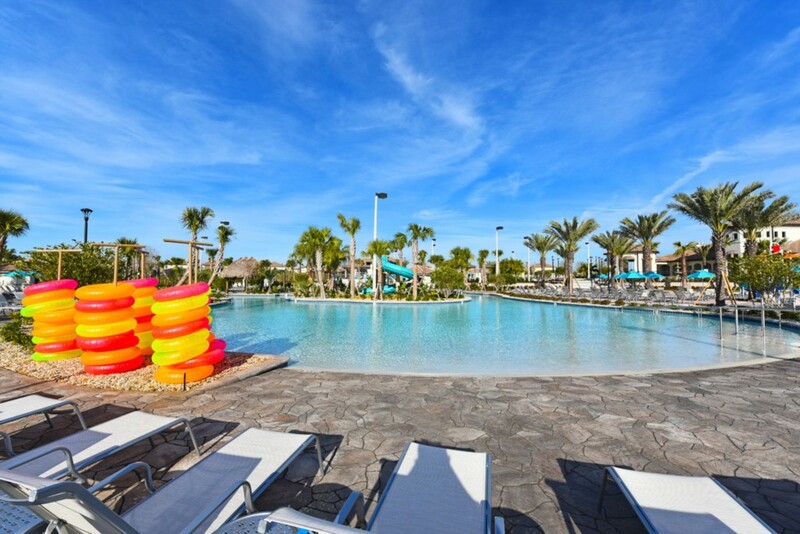 Make your next vacation the best one yet with Champions Getaway. 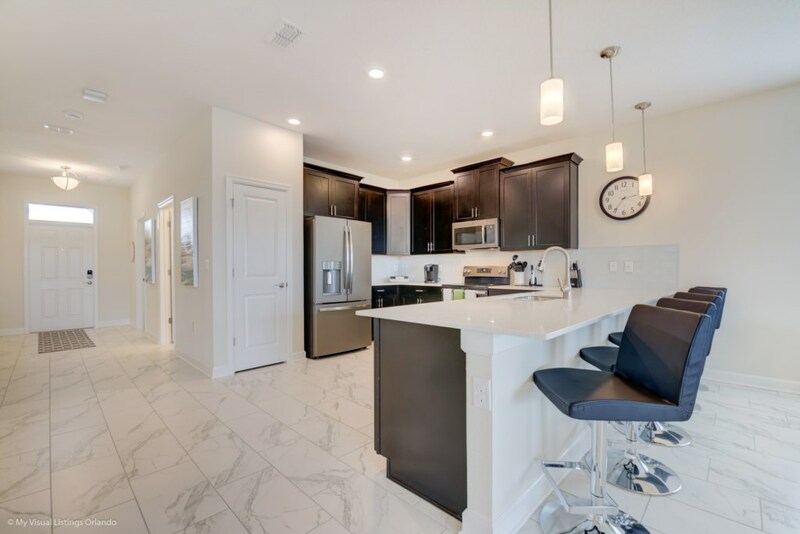 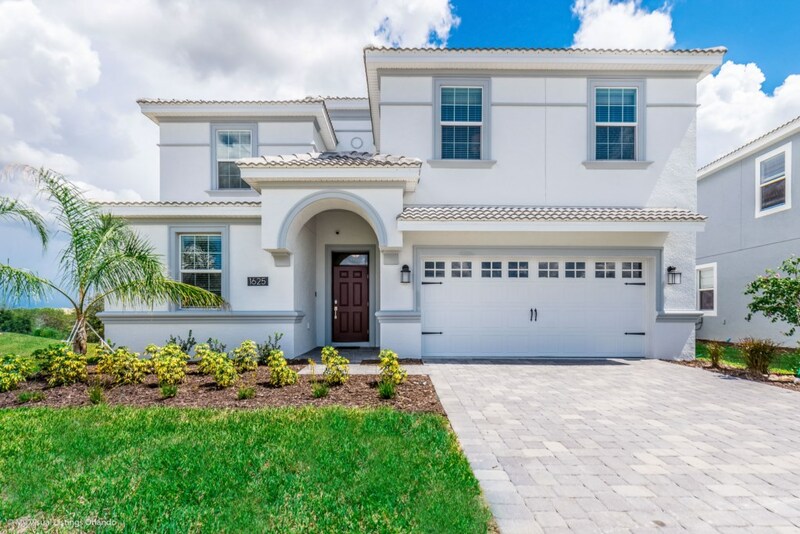 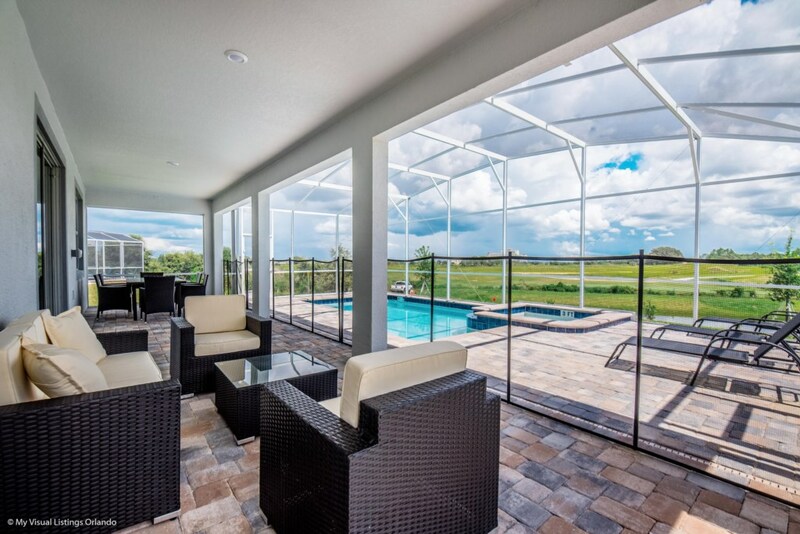 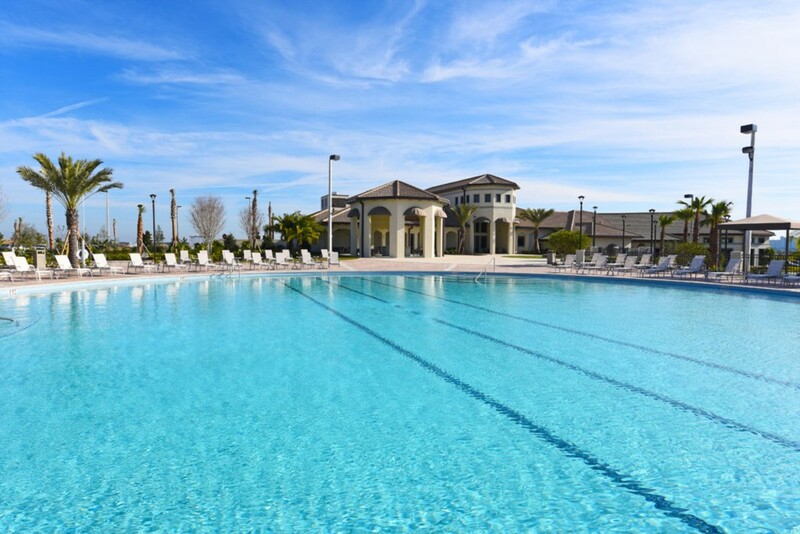 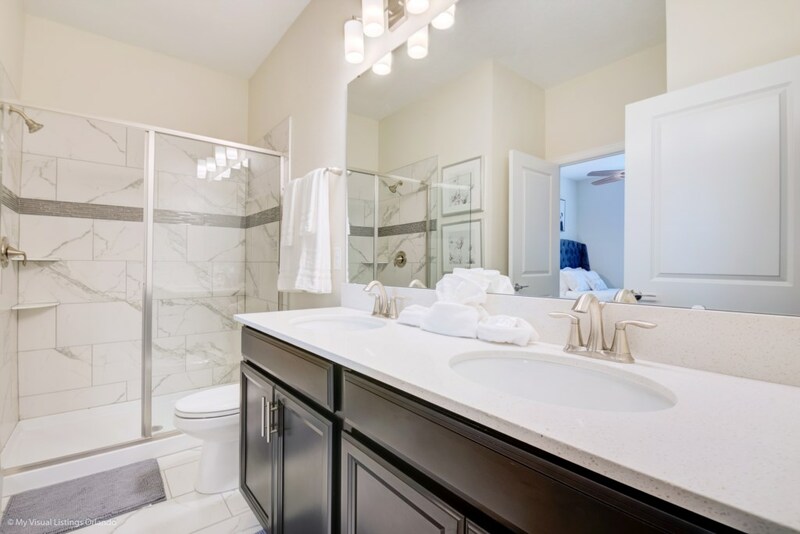 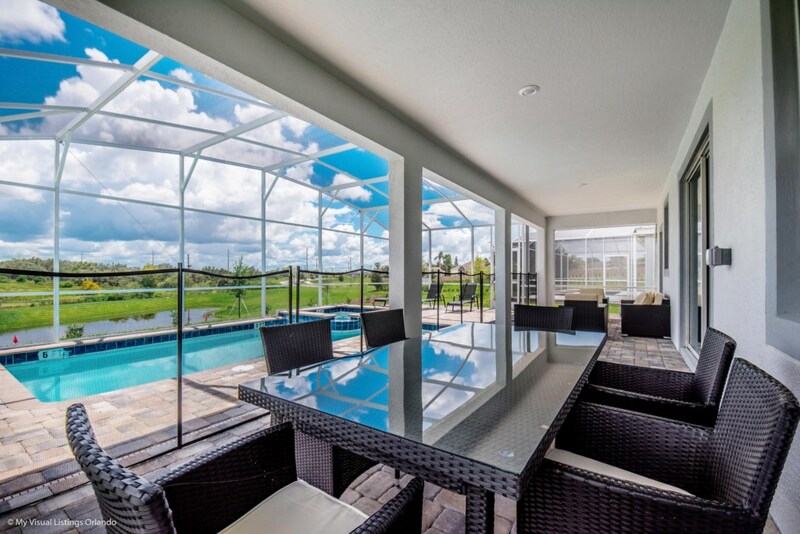 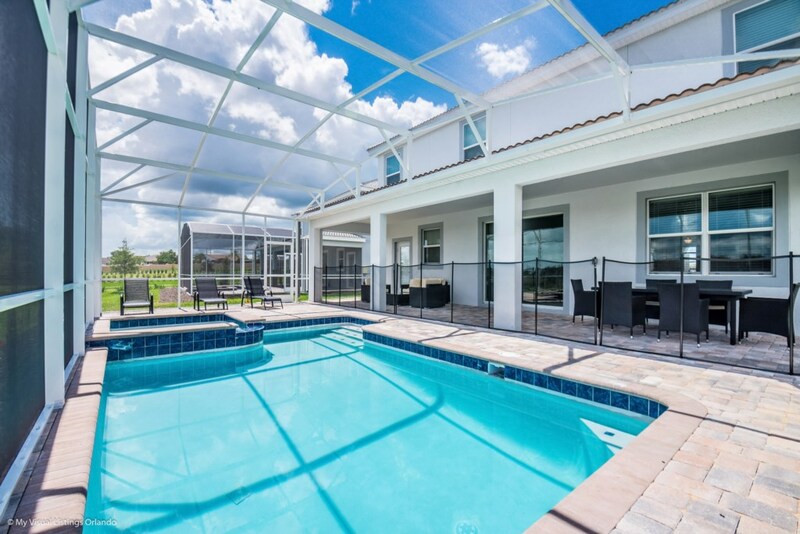 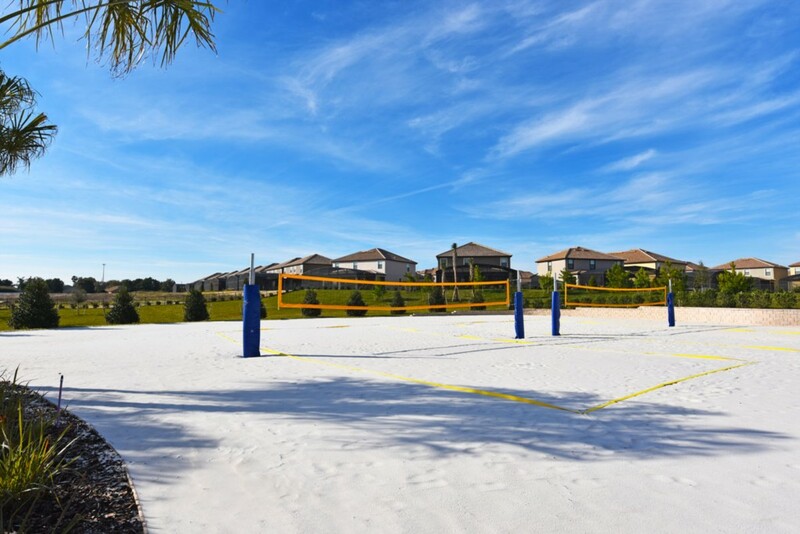 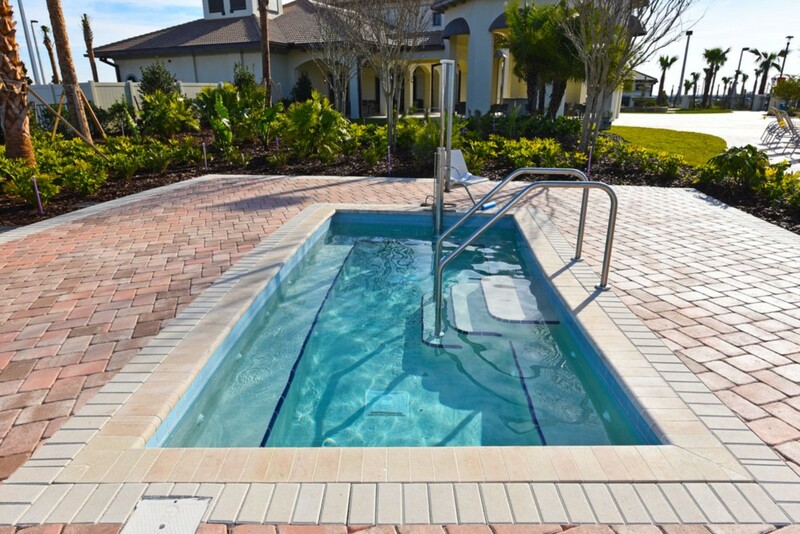 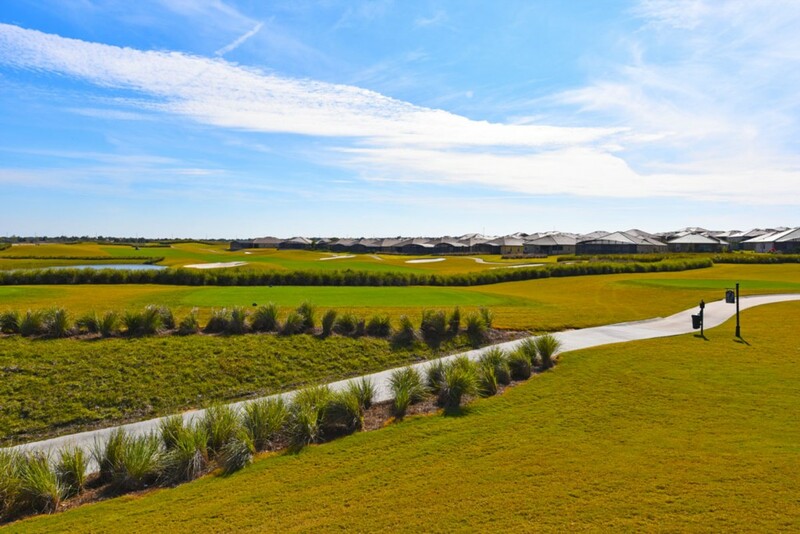 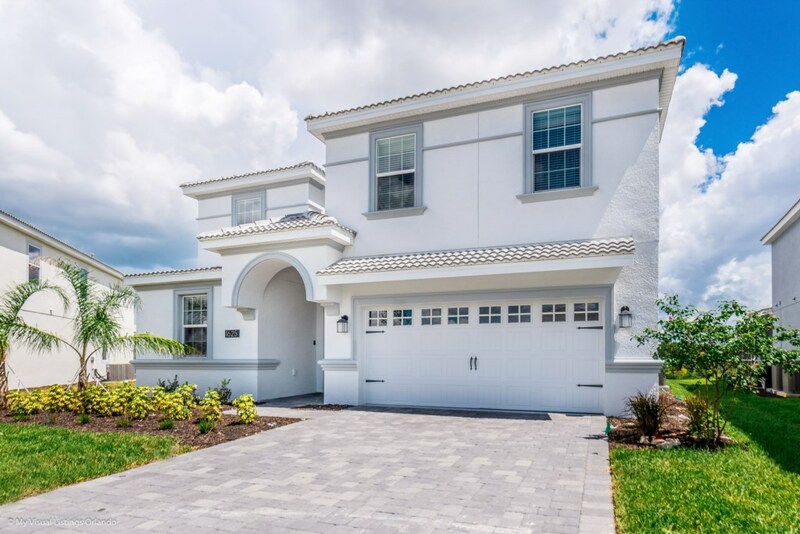 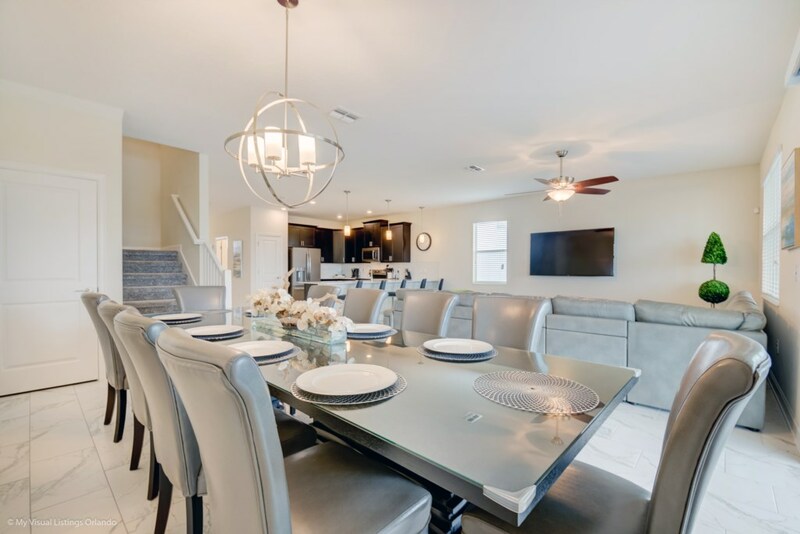 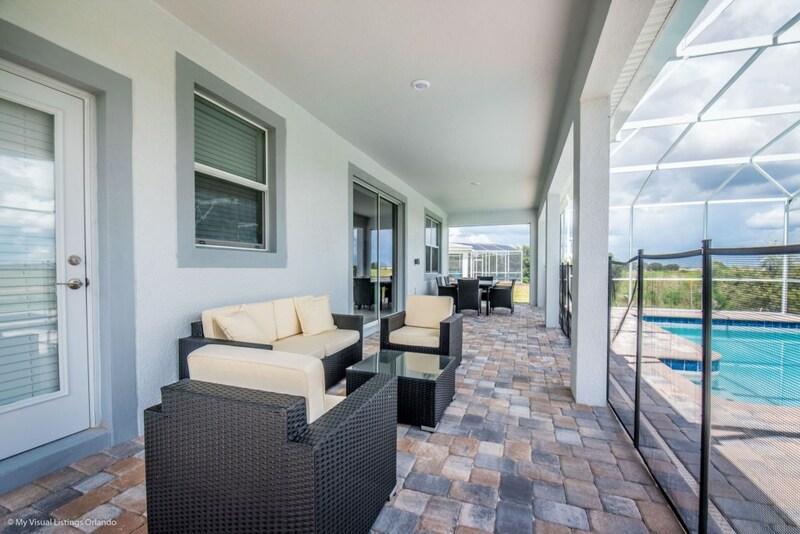 This 9 bed 5 bath home is located in Champions Gate Resort, one of Orlando's newest family friendly destinations. 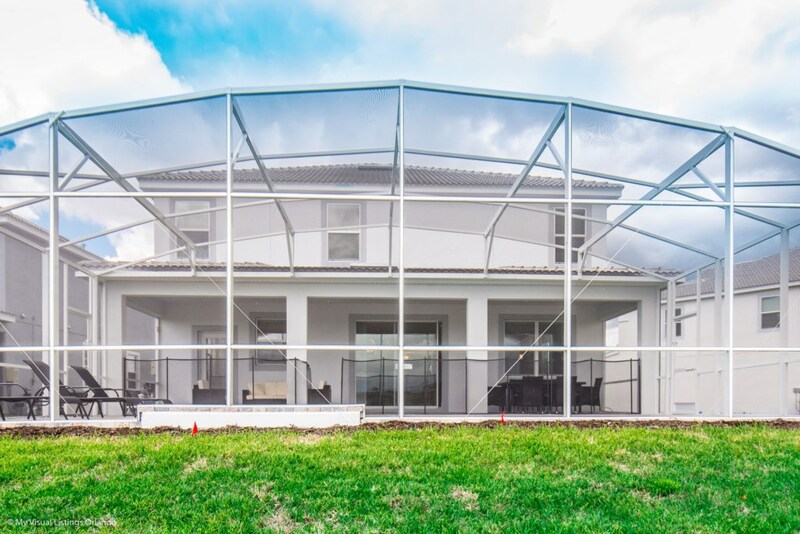 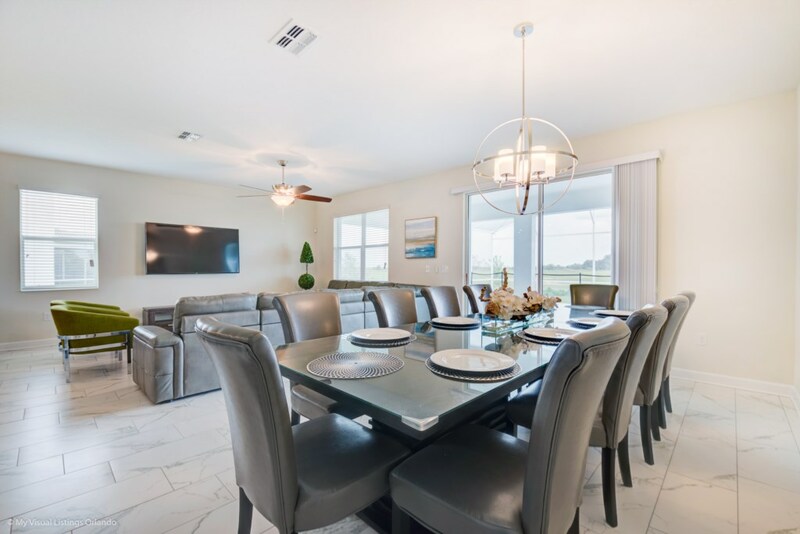 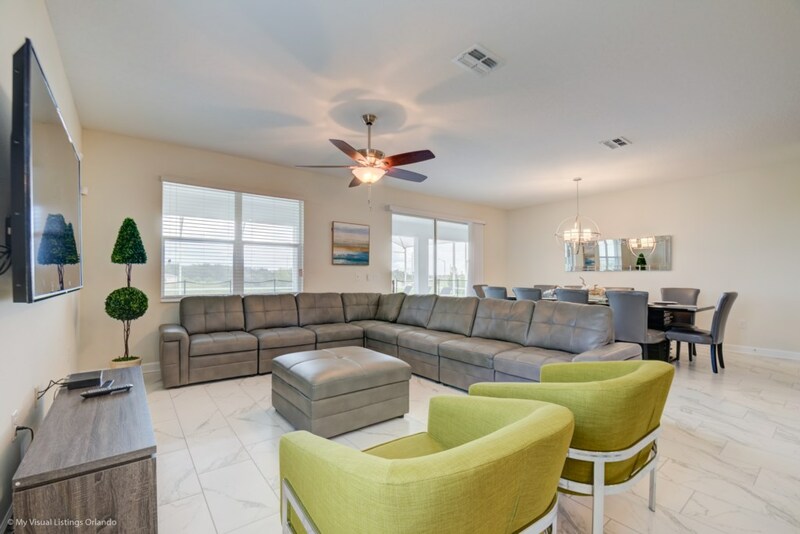 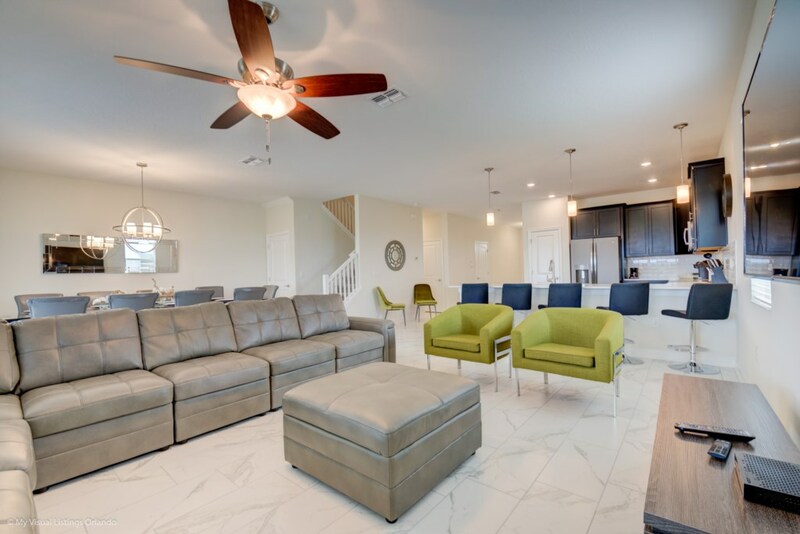 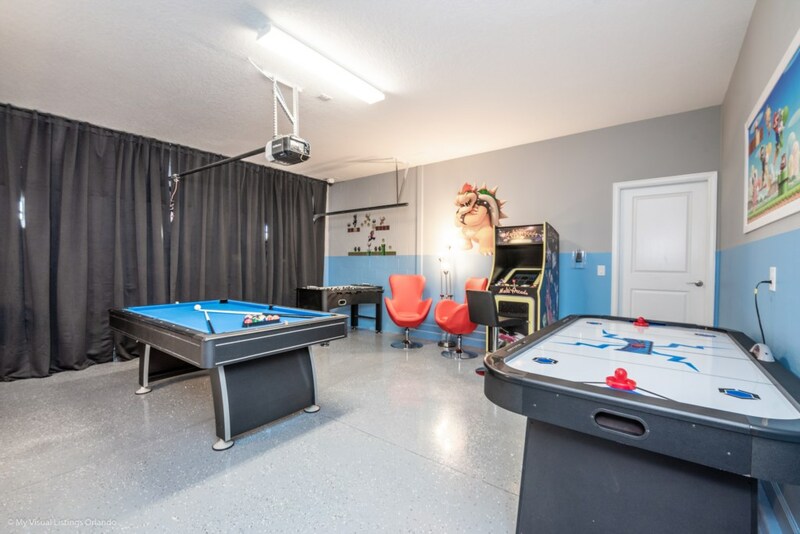 This villa comfortably accommodates up to 23 guests with luxury furniture package, an open floor plan, fully equipped kitchen, two kids bedrooms, retro arcade games room, movie theater, and more! 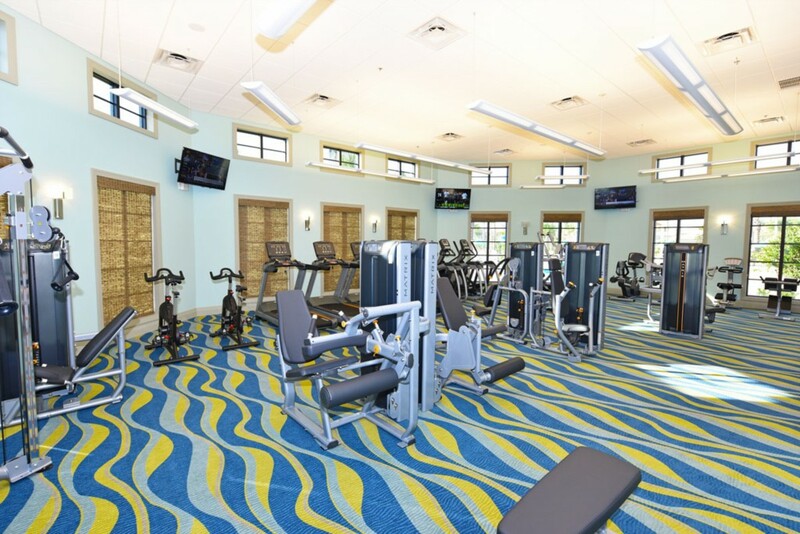 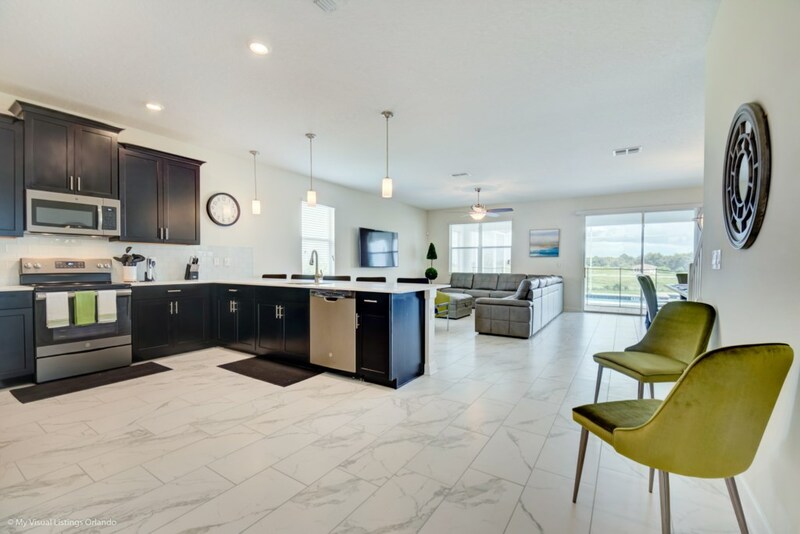 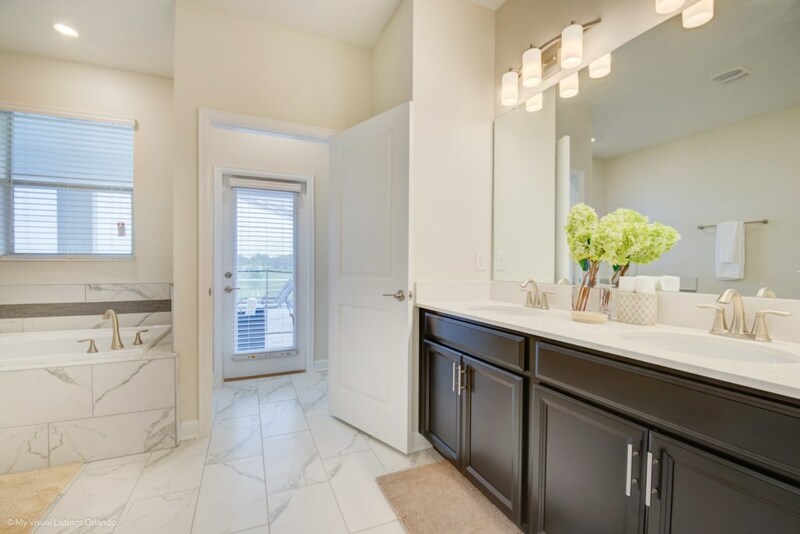 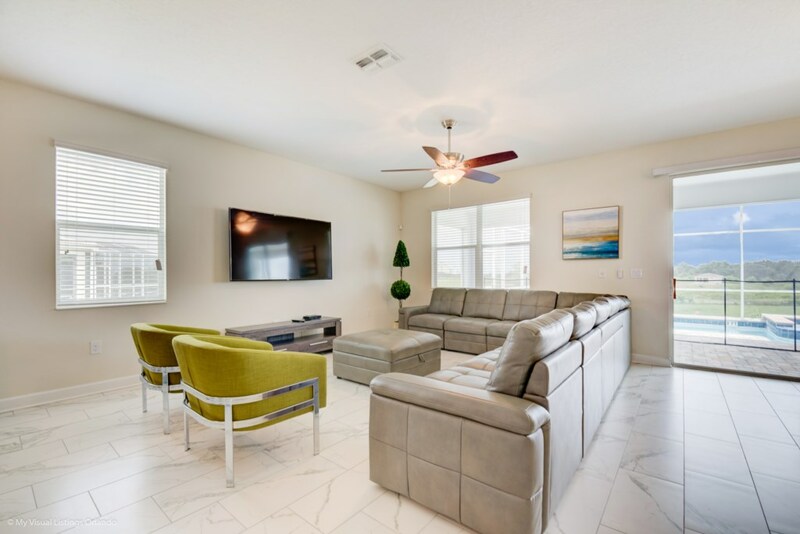 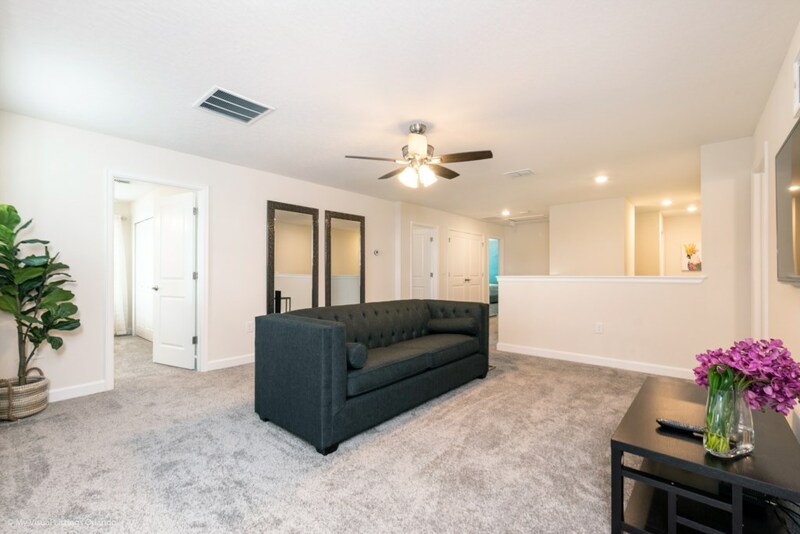 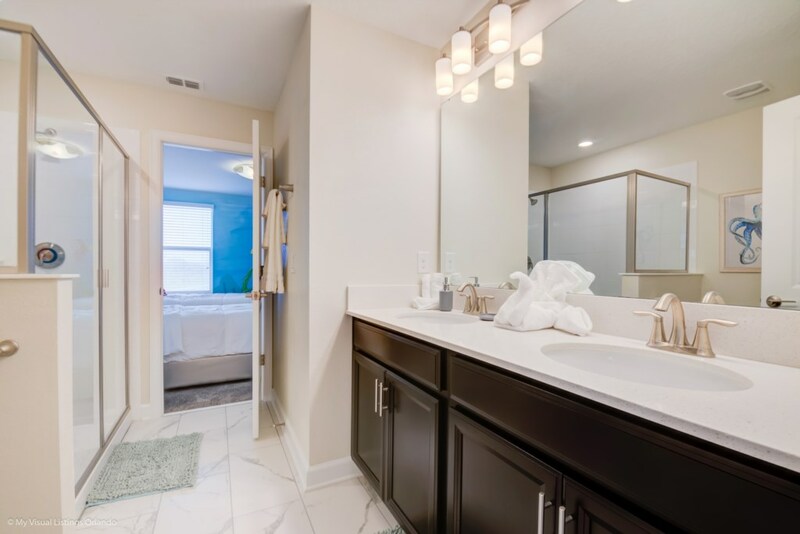 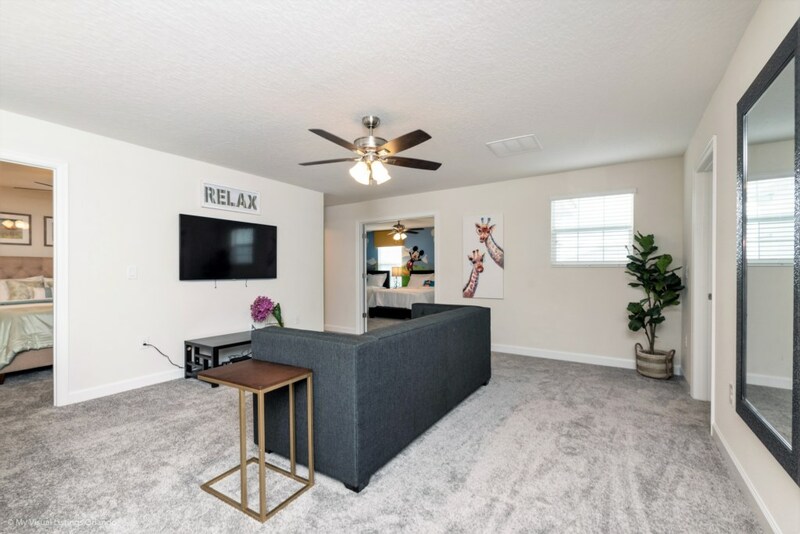 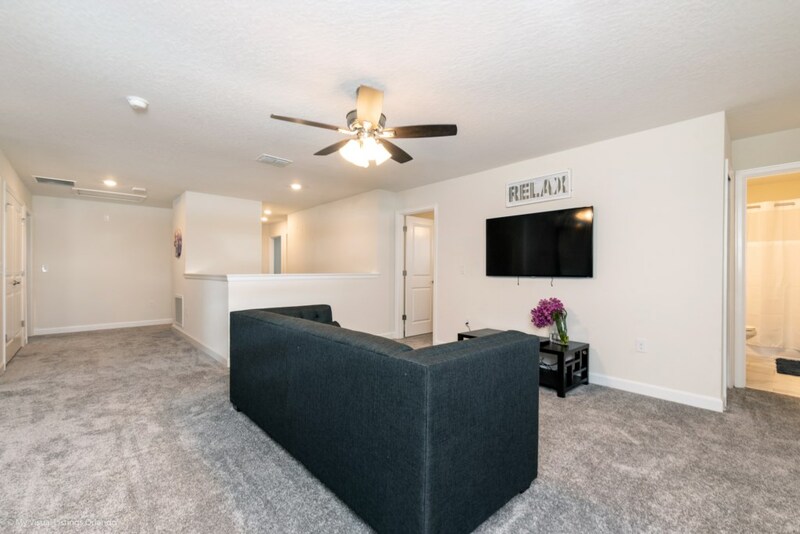 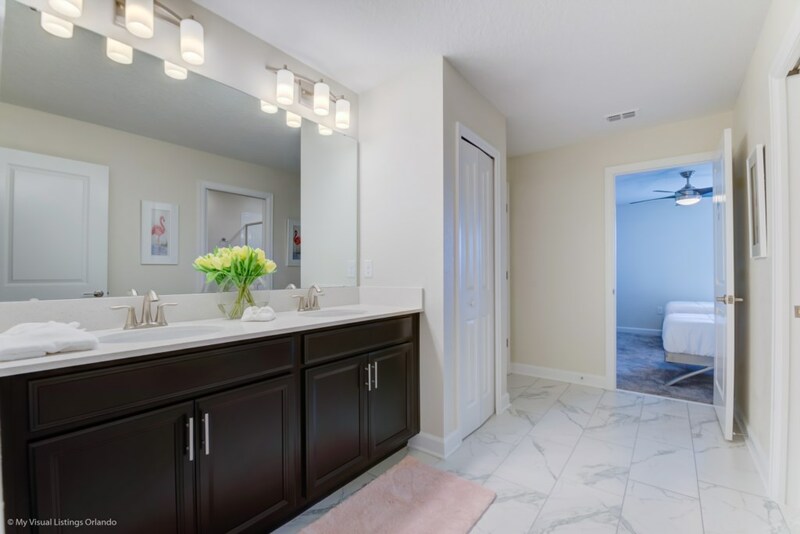 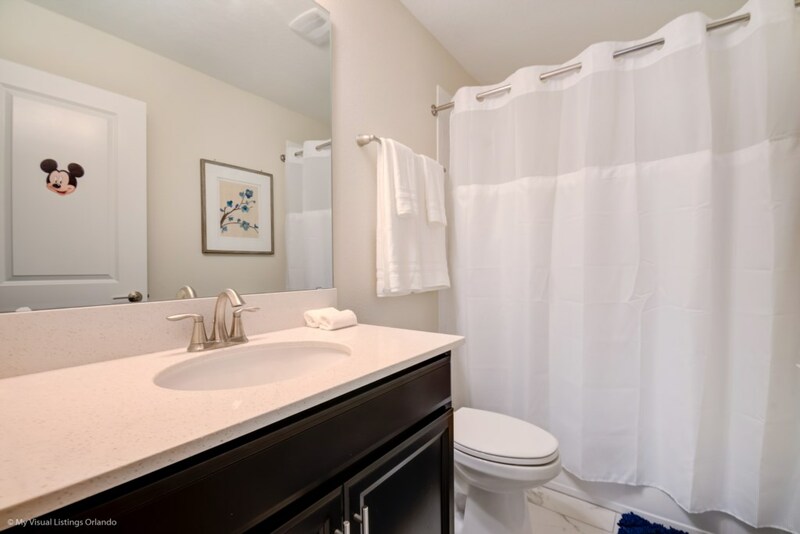 Everyone can enjoy spending time together with the open floor plan. 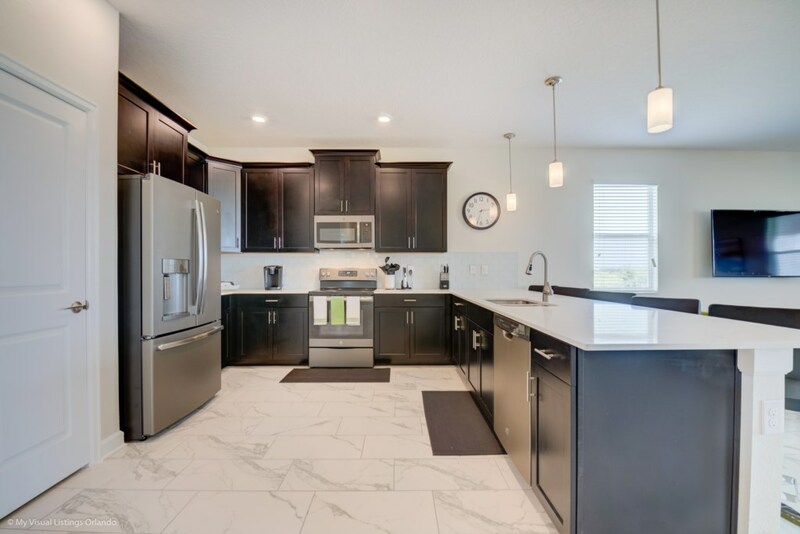 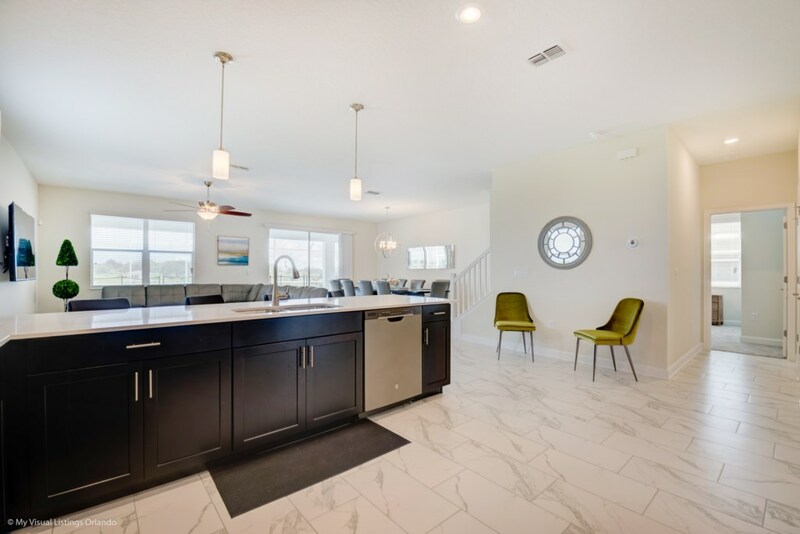 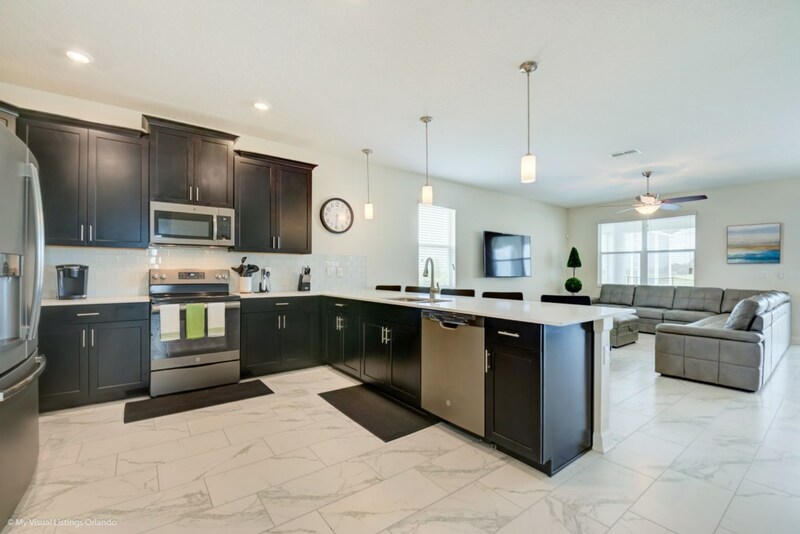 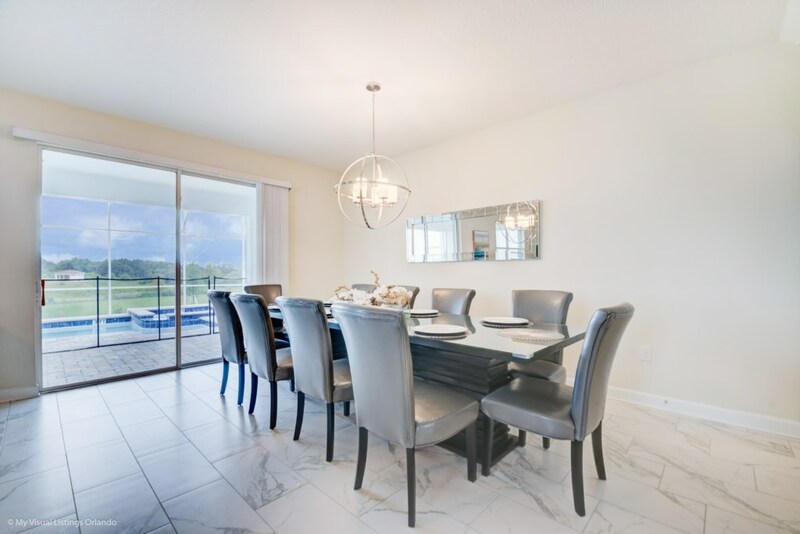 The fully equipped kitchen is perfect for preparing family meals in. 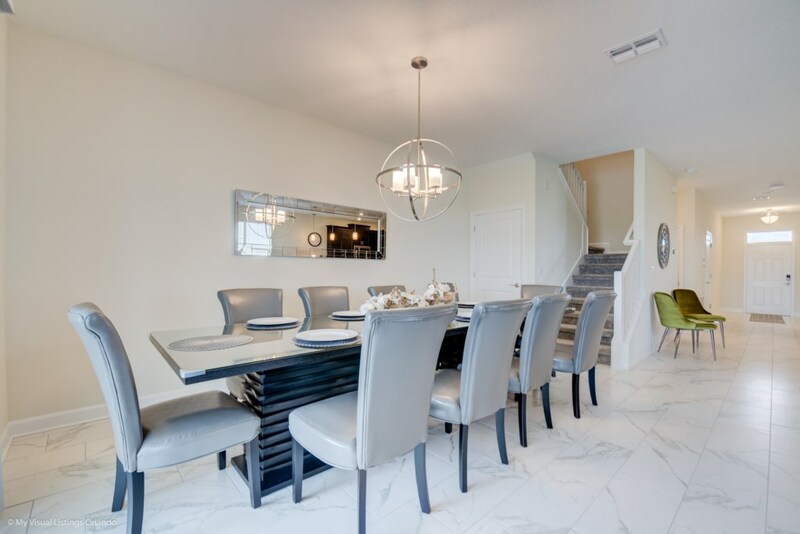 The formal dining table seats 10 and there is additional seating at the breakfast bar. 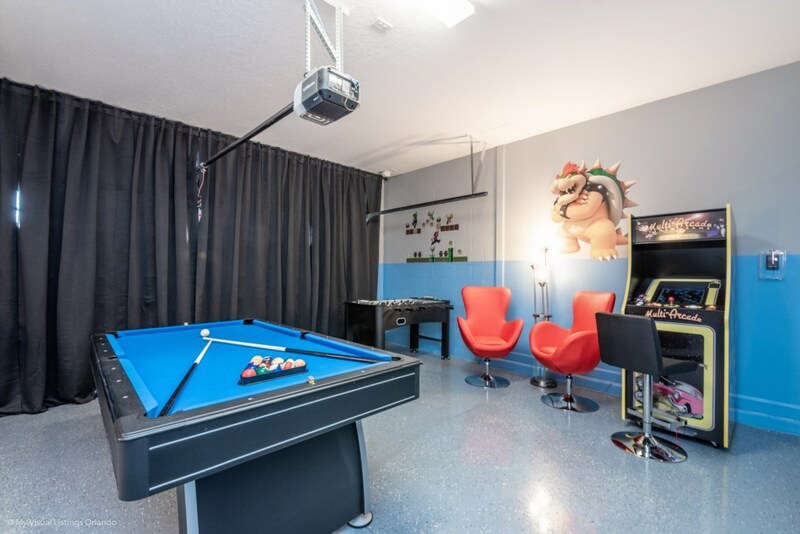 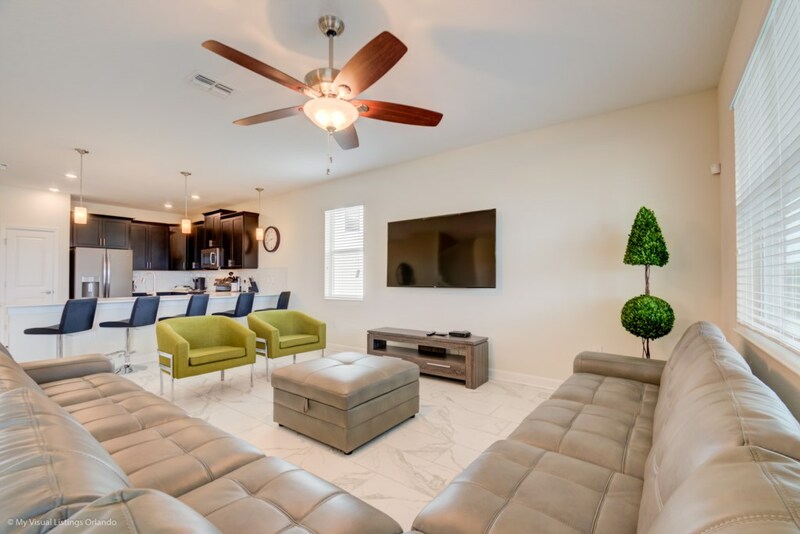 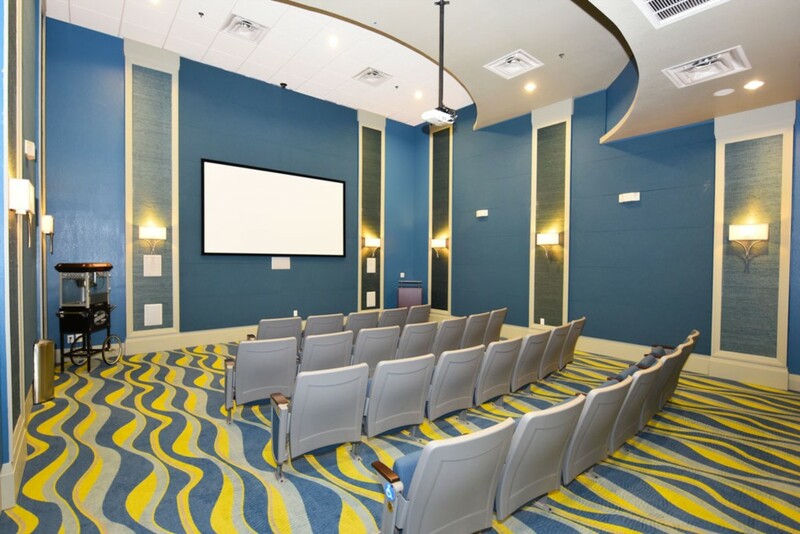 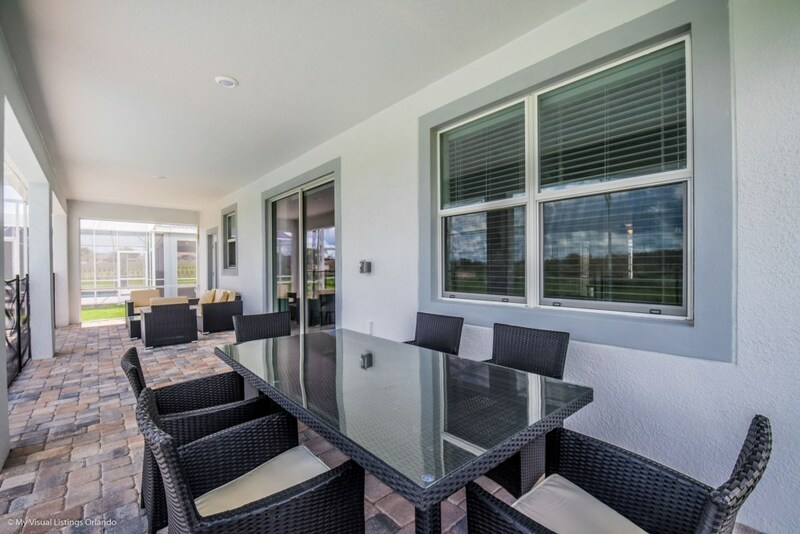 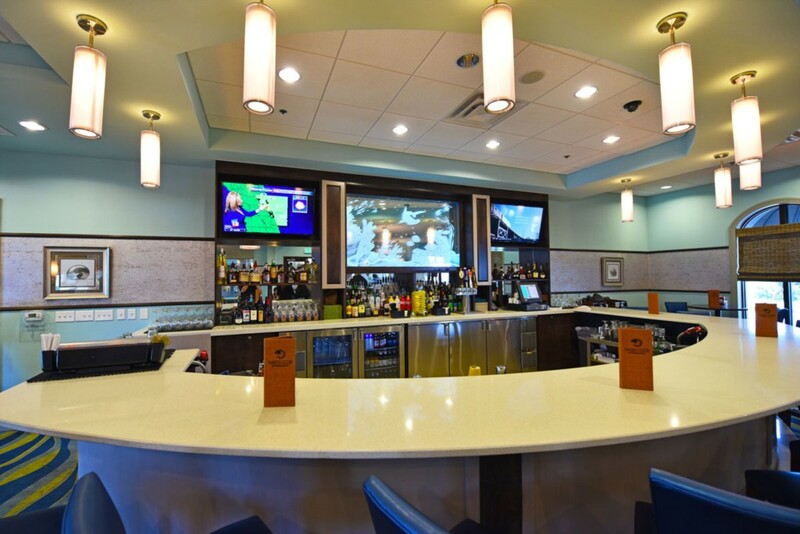 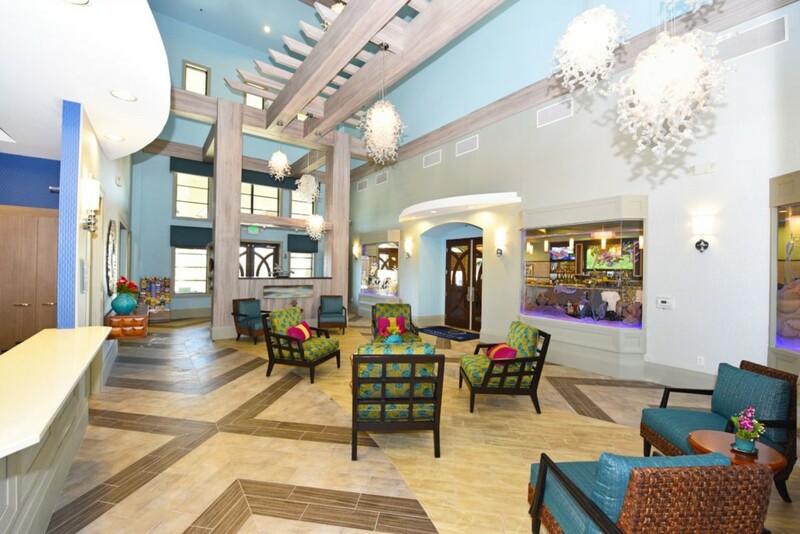 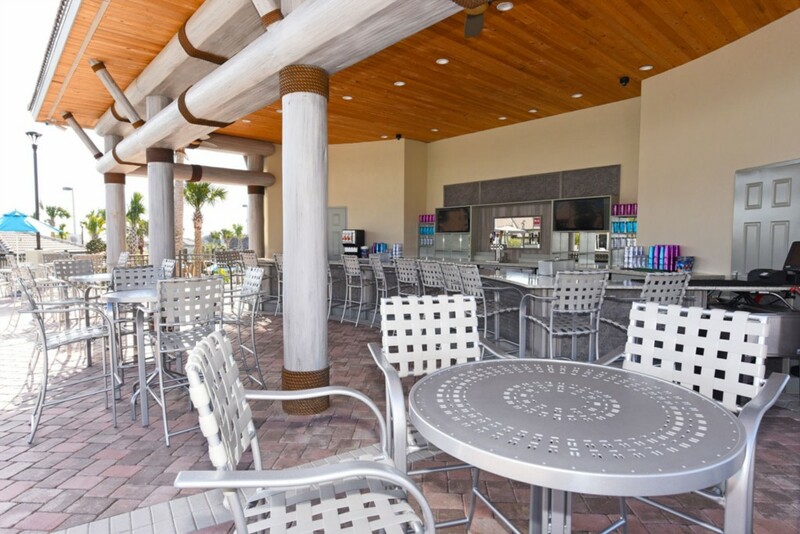 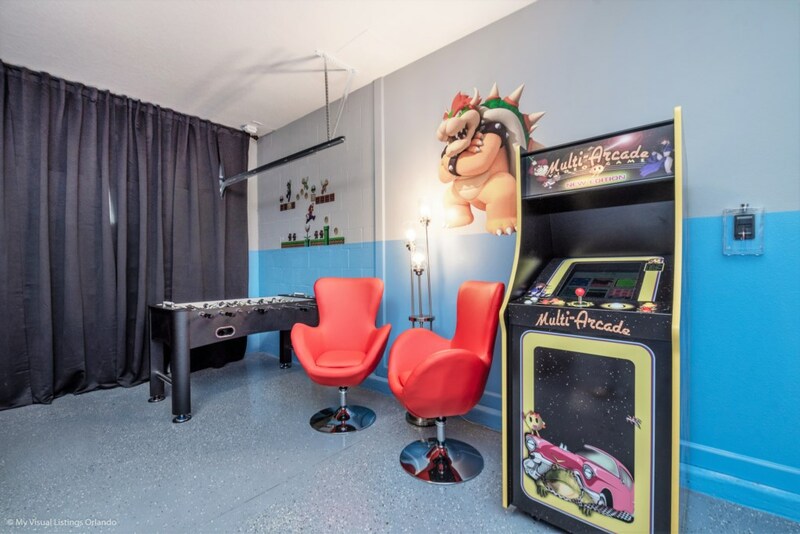 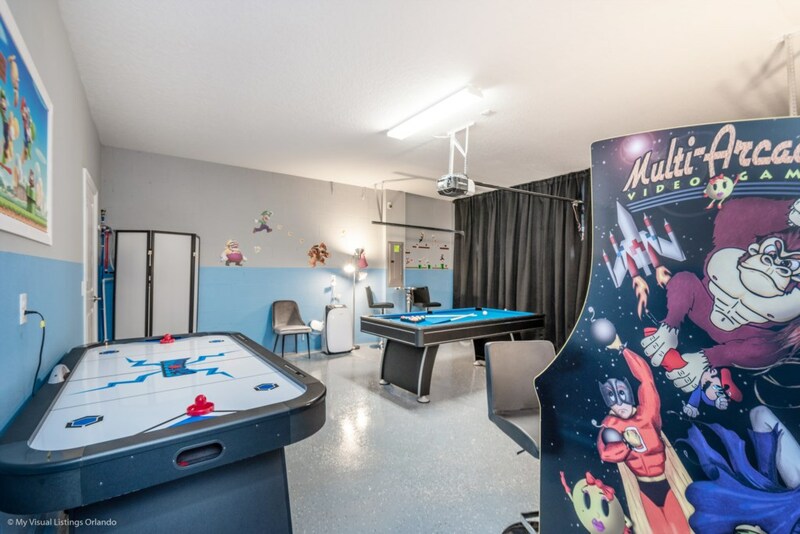 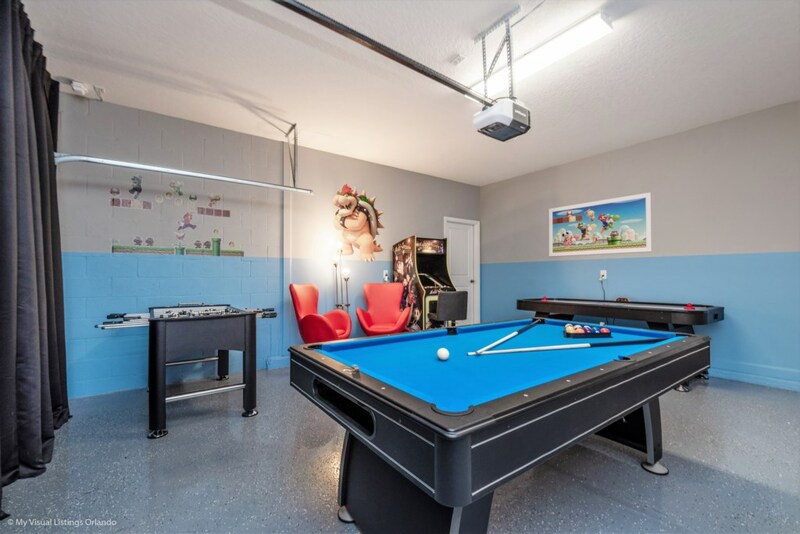 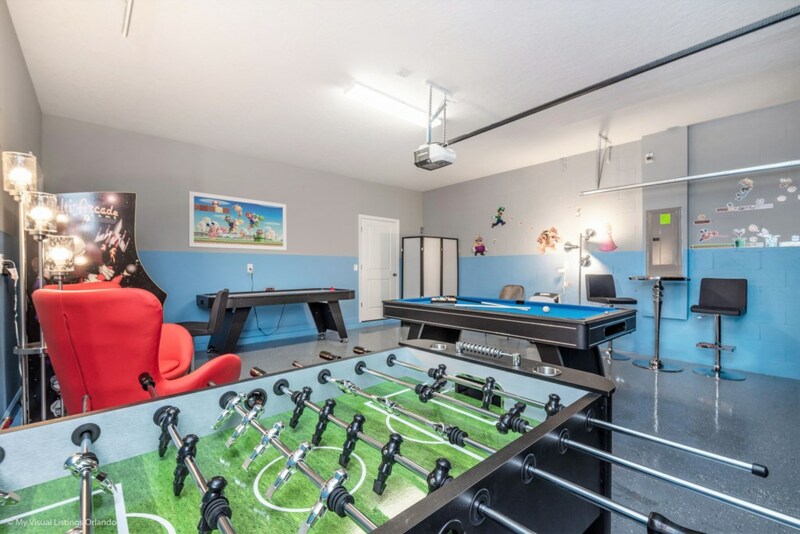 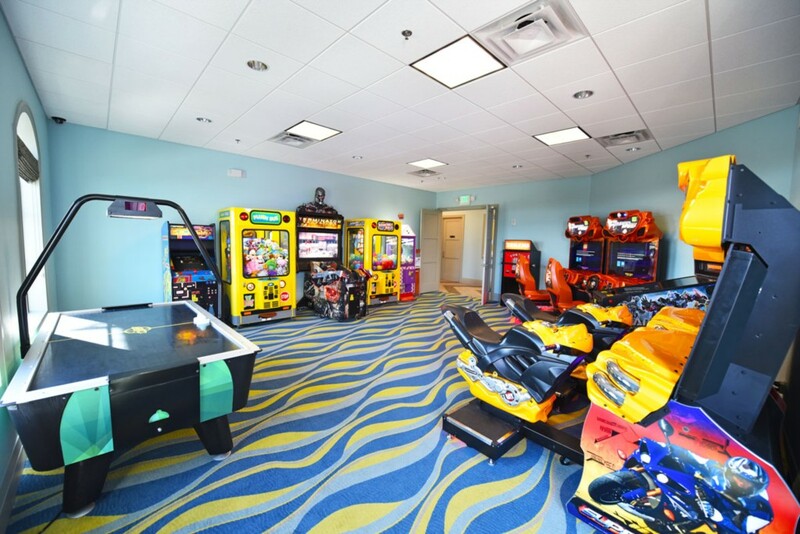 Gather together in the living area with a 55-inch SMART TV, access to the patio area, and the retro arcade games. 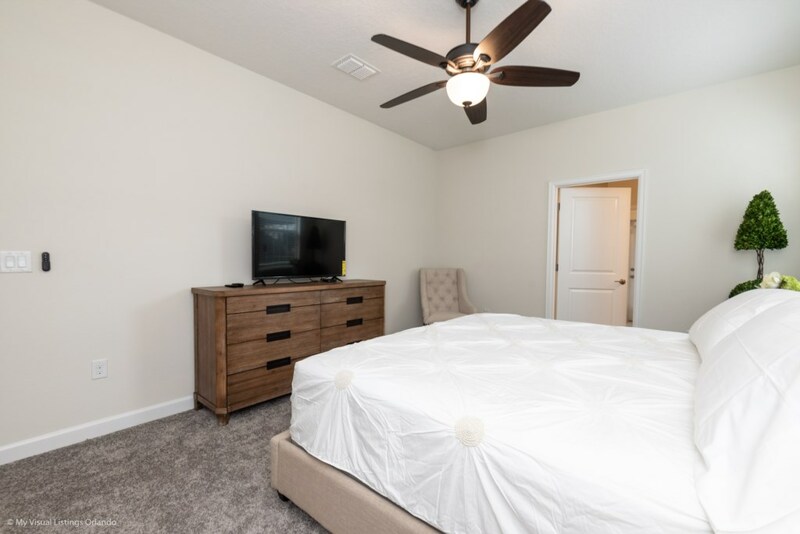 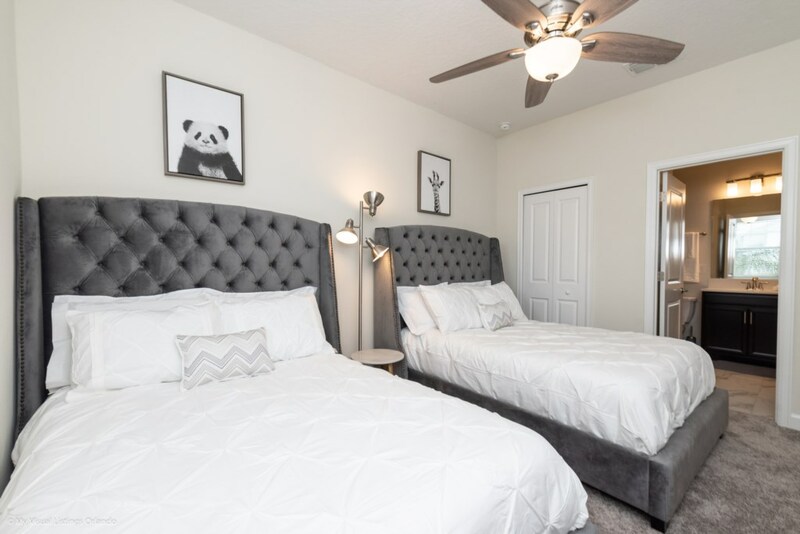 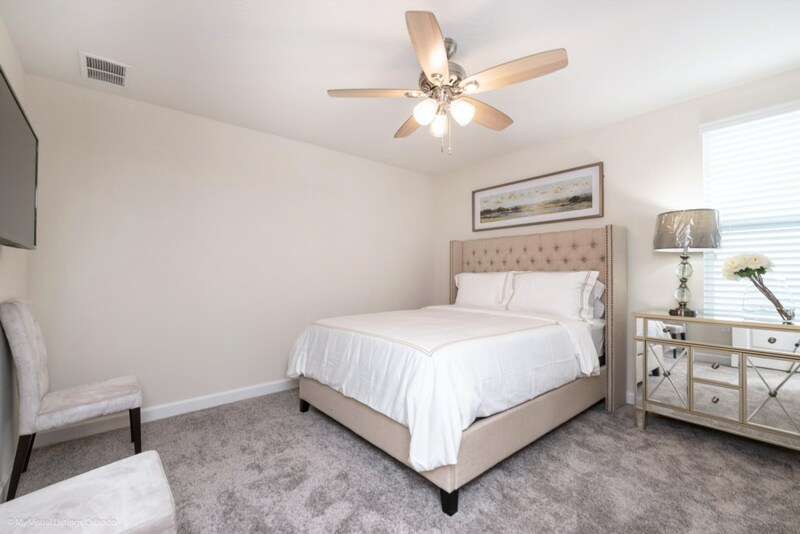 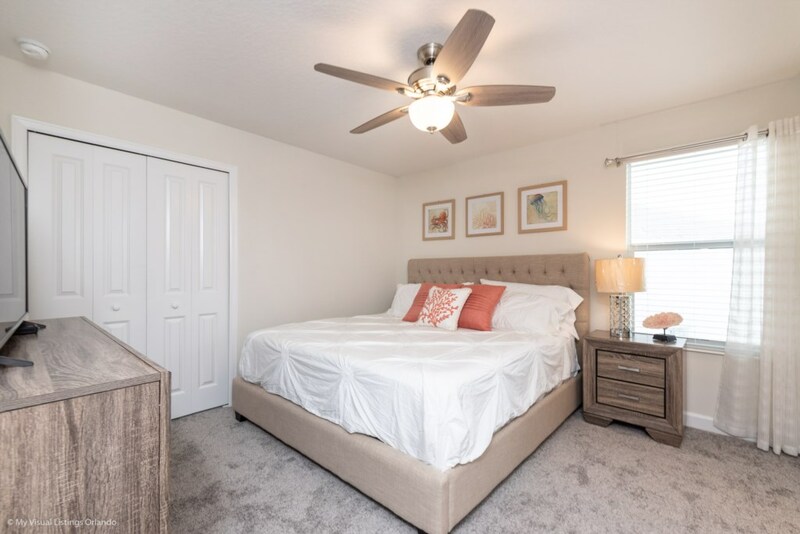 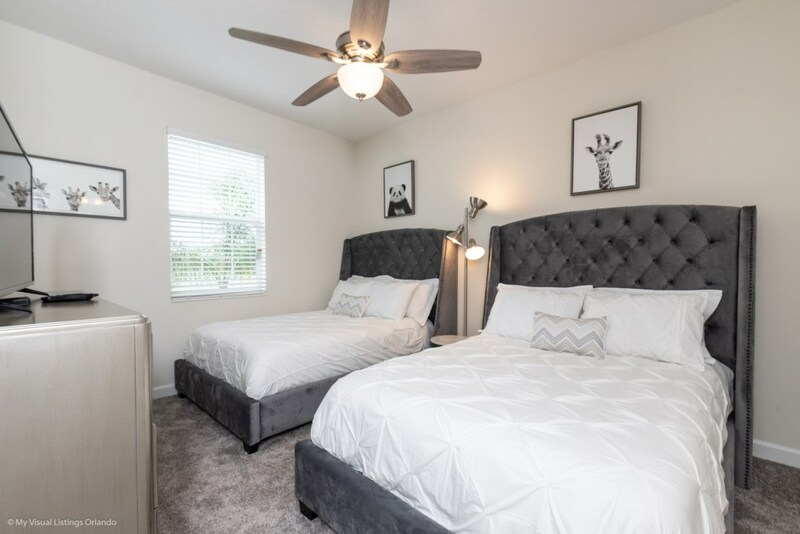 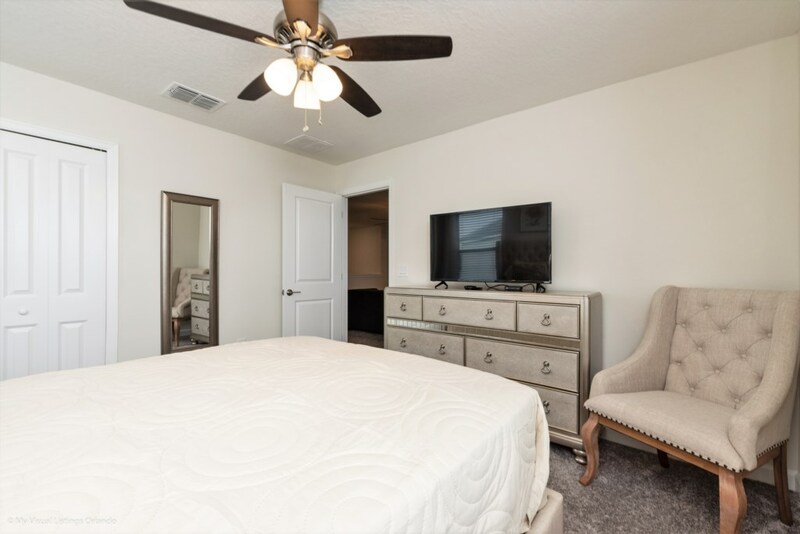 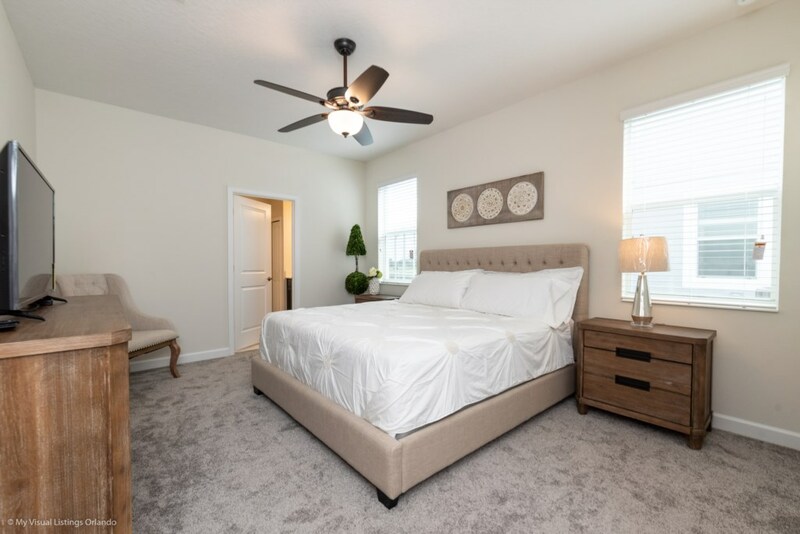 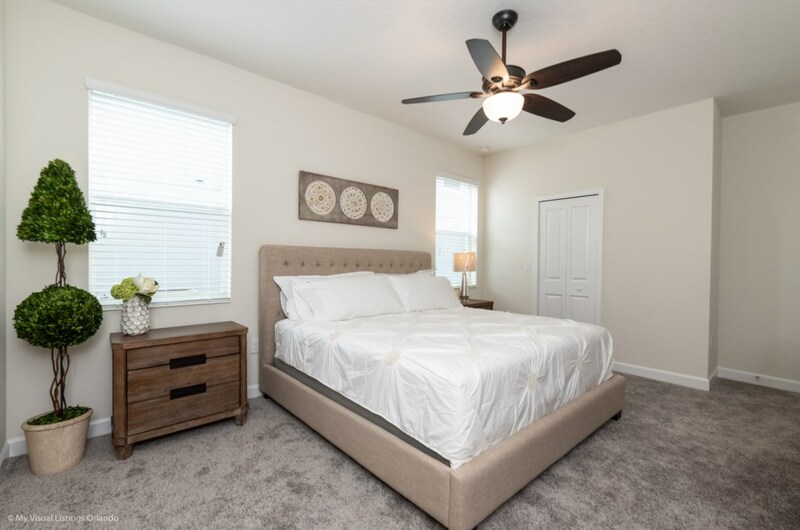 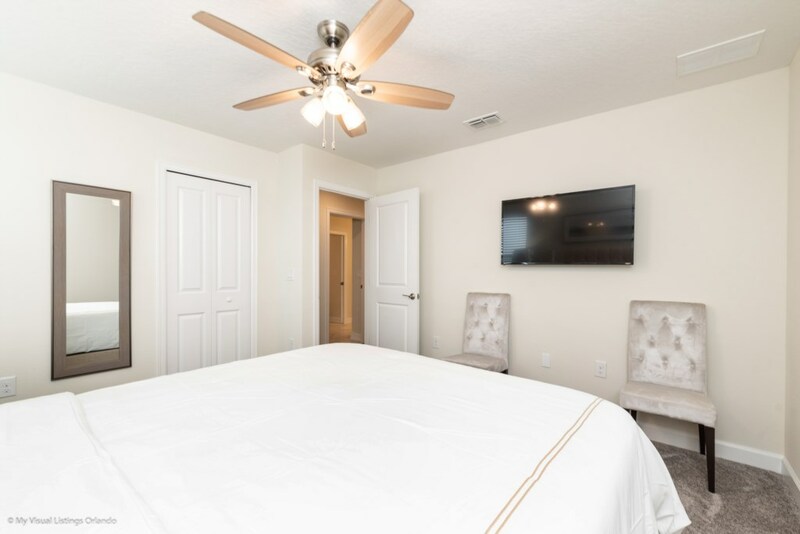 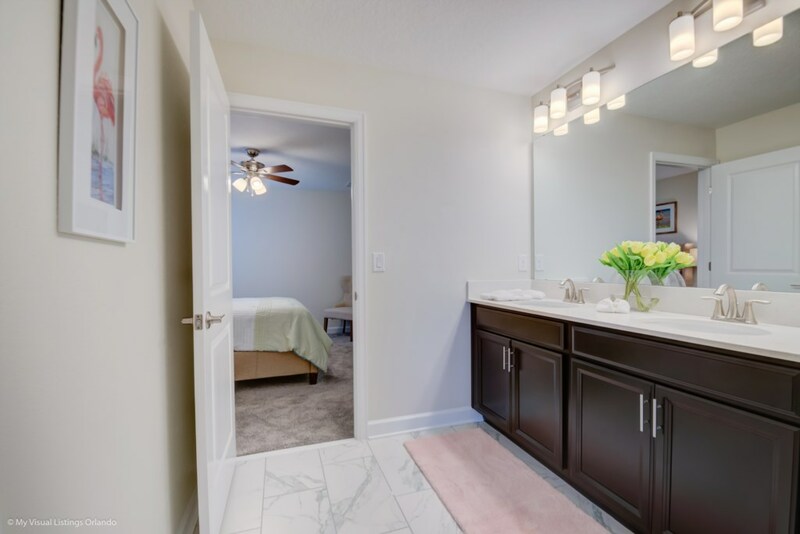 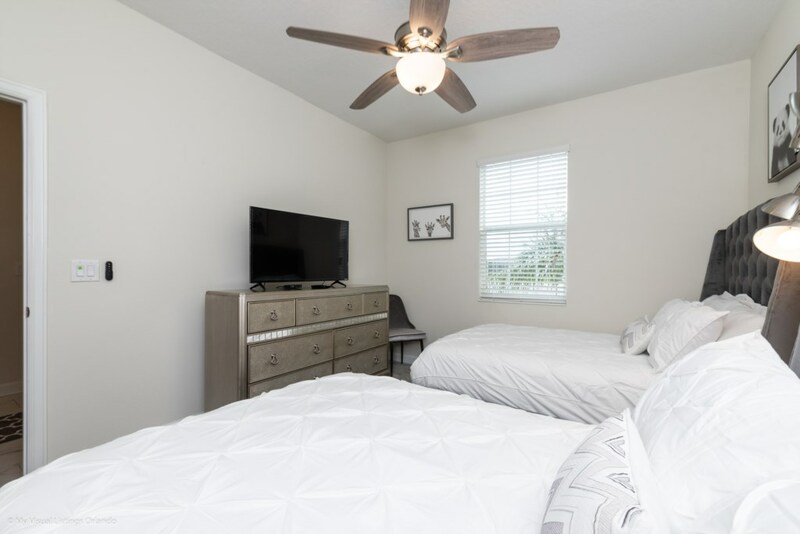 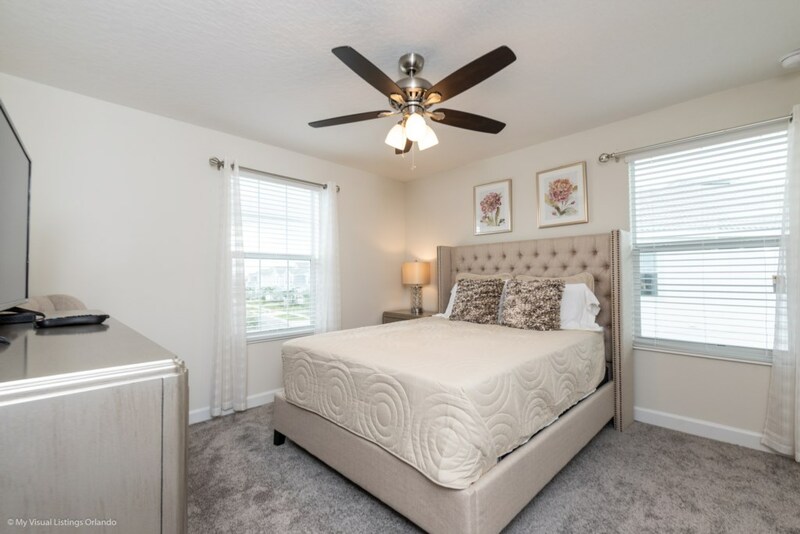 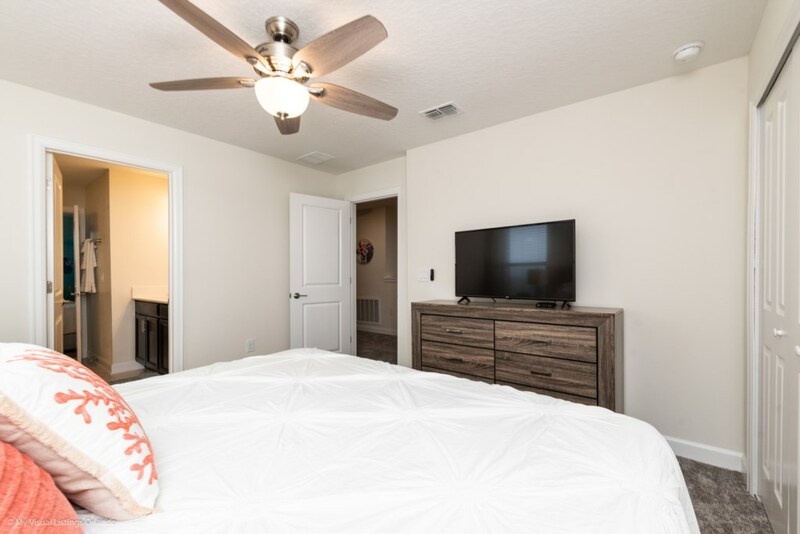 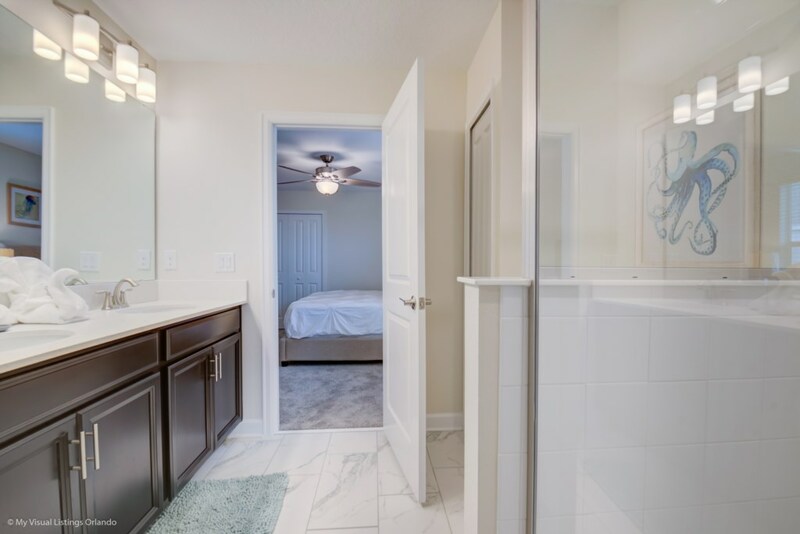 The adults can have extra privacy on vacation with two master suites both featuring king beds, en-suite bathrooms, and SMART TVs. 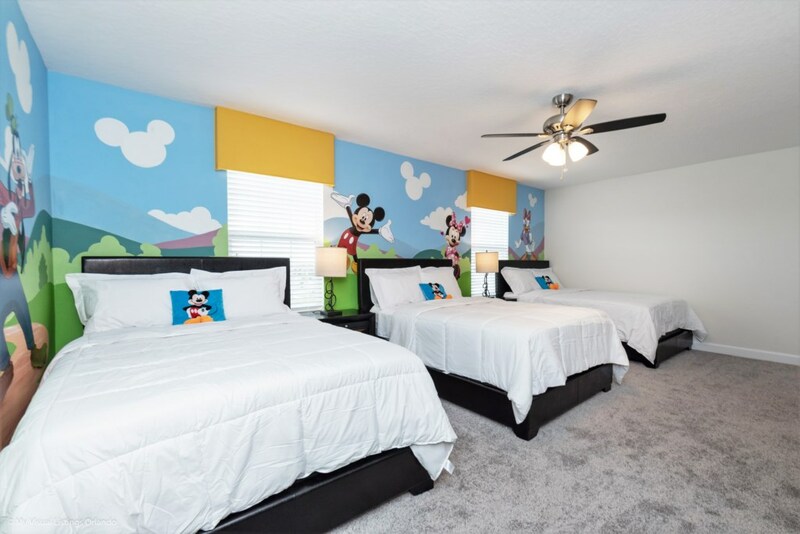 The other 4 master suites all feature king beds and a Jack-n-Jill shared a full bath. 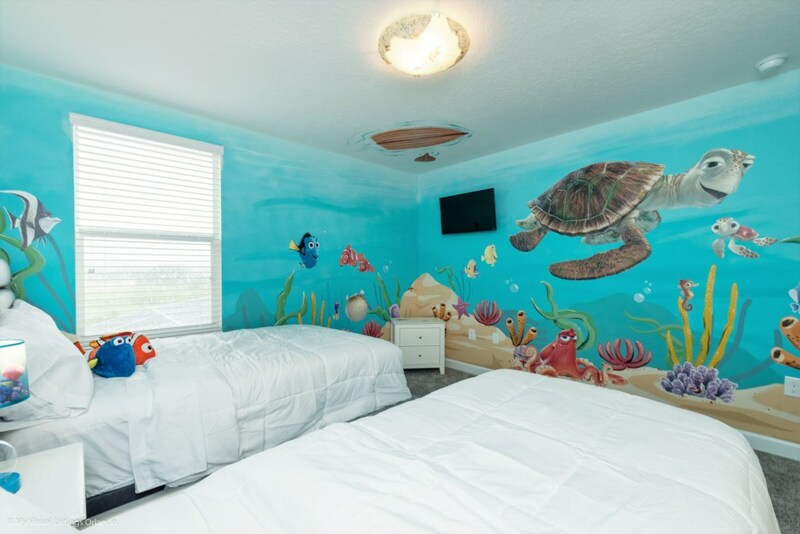 The little ones will also have the best time in their own bedroom that features two twin beds. 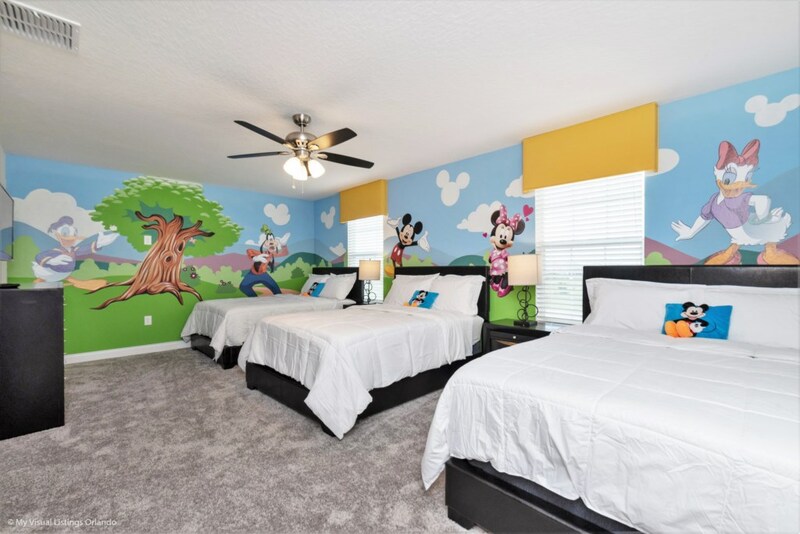 The other kid's room with two sets of twin/twin bunk beds. 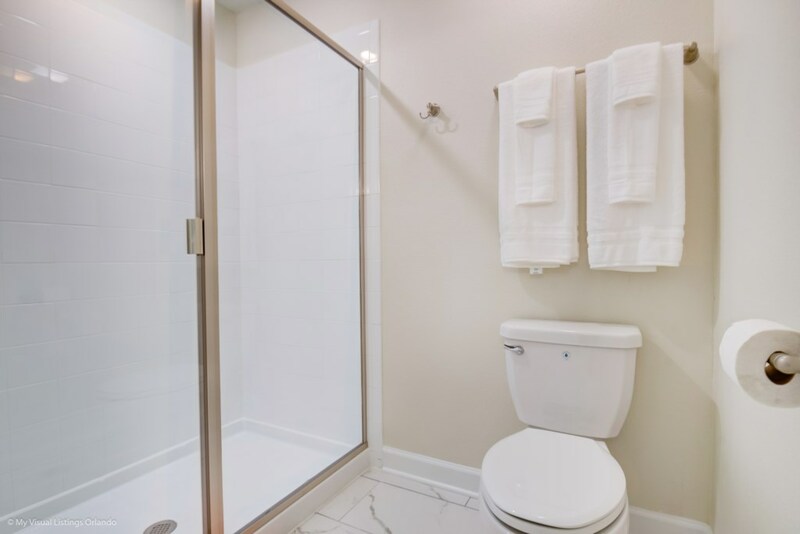 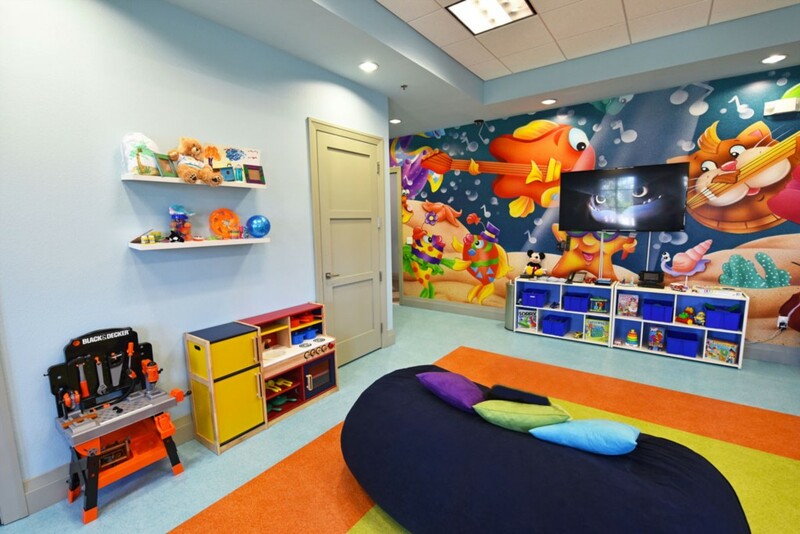 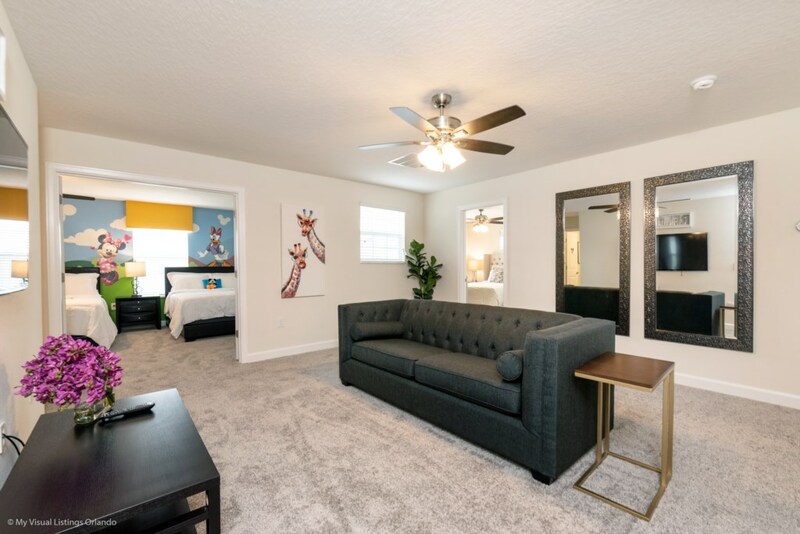 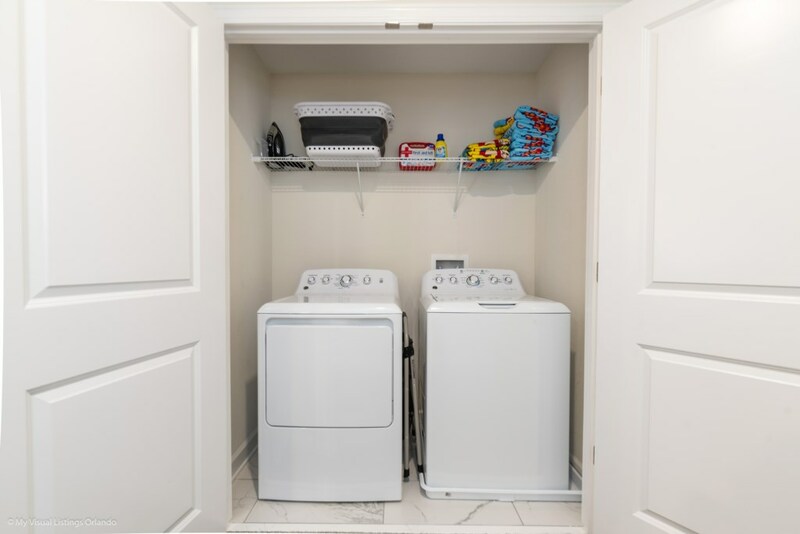 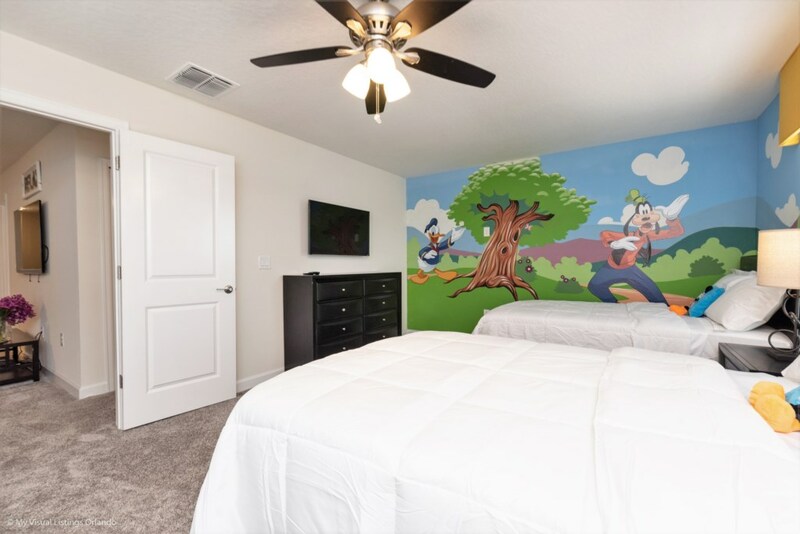 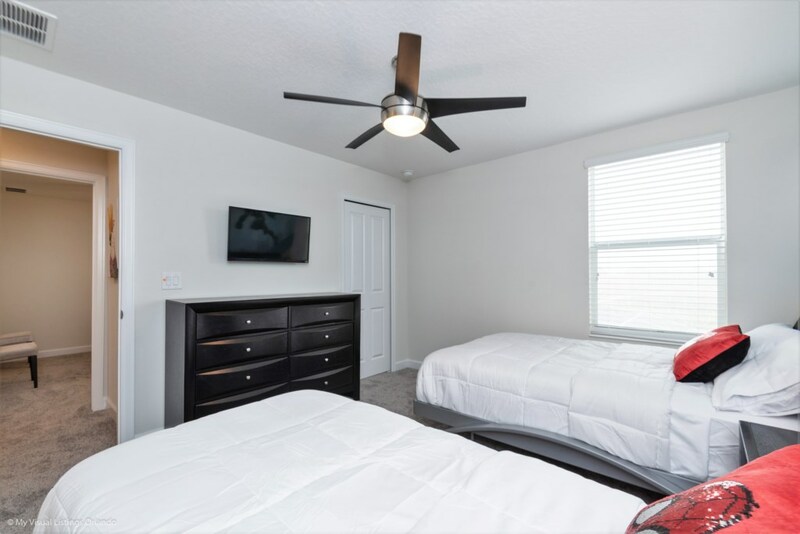 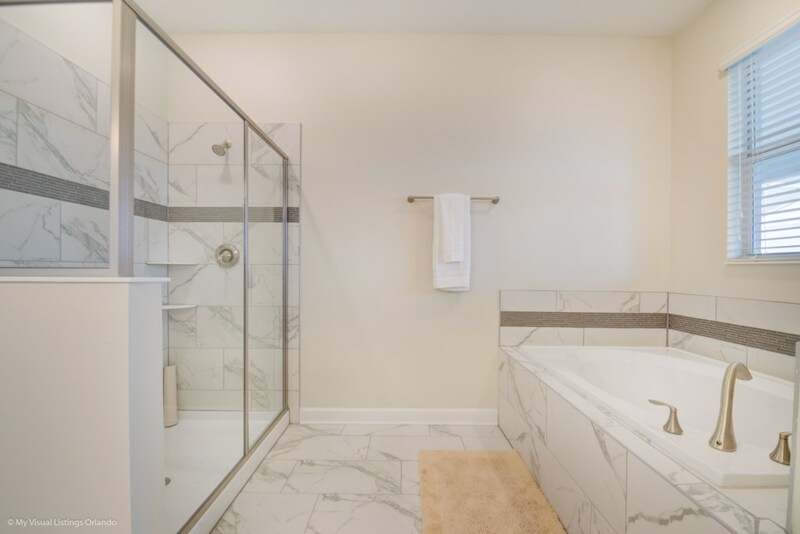 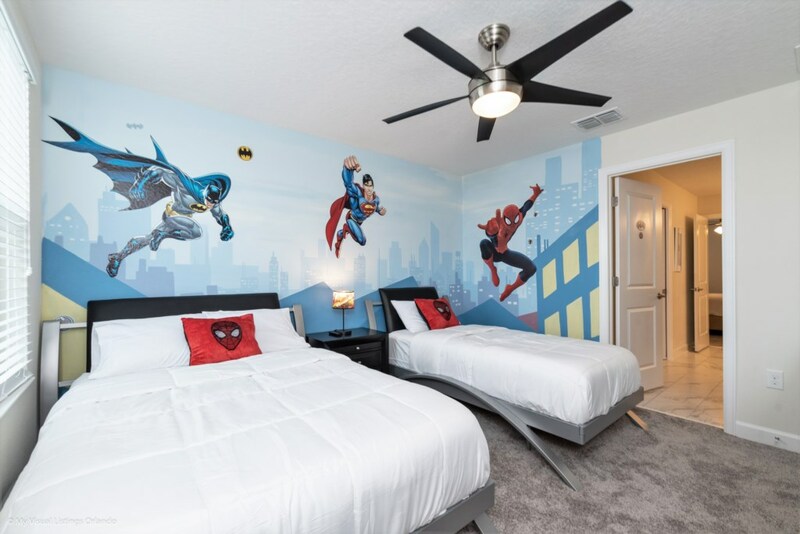 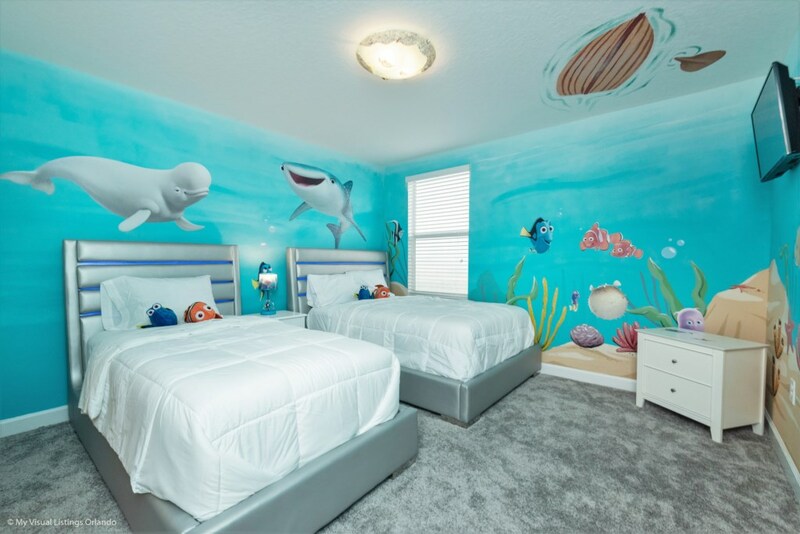 The kid's rooms both have 32 inch SMART TVs and share a full bathroom.